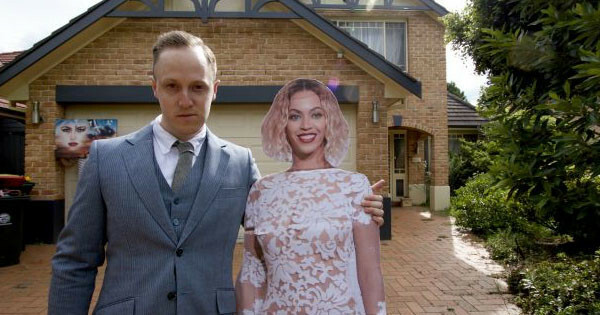 Legendary bloke, Josh Hawkins, has taken flatmate finding to a whole new level by creating a hilarious video and property listing in a bid to fill his spare rooms. However, he also goes on to reveal that the euphoria of finally being ~lord of his own domain~ has quickly diminished with the reality of having to cover the rent. “This house has five bedrooms, right now I’m paying the whole rent, so I need to find three more housemates,” Hawkins explains in the video. 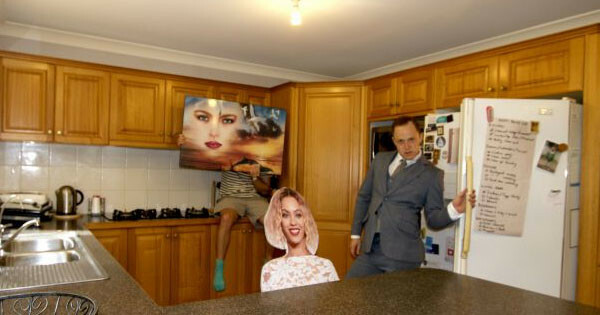 The listing also features a famous face by way of the Queen herself—Beyoncé, spacious rooms with ‘vibes to the power of vibes’ and a kitchen that would make Kath & Kim feel right at home. Noice, unusual, different. Hawkins too may seem like a familiar face, and you’d be right. He once graced our TV sets on WipeOut Australia. He’s also had a raft of viral videos under his handle hijosh, most notably for his tossing skills. Hawkins said potential flatmates should expect a relaxed vibe for the most part, but should also expect the occasional spontaneous dance party. As for who he would like to live with? “Jimmy Fallon, but if he’s not looking in Kellyville then I suppose someone who is easy going, loves adventure every now and then, loves their own company but can get around a good old house gathering,” said Hawkins. To apply for this once in a lifetime opportunity or to just check out the full listing, follow this link.